ST. LOUIS – Dear St. Louis, I heard you loud and clear on social media during the NFC Championship game and while I didn’t grow up in St. Louis I can see why you probably don’t want to watch your former team in the Super Bowl. It sounds like only a handful of St. Louisans will actually watch the game. The puppy and kitten bowls are more popular on our post than the Super Bowl. Some won’t even recognize the Super Bowl, ‘What's a Super Bowl? It it bigger than a mixing bowl?’ Steven McKenzie wrote to us. ‘Watching anything but the game,’ Susie Whaley said. Gina Noble said she’ll watch paint dry or stare at a pot of water, waiting for it to boil. Larry S. Lanham said he’ll also be watching paint dry. And so did Debbie Burnett, ‘I would rather watch paint dry,’ she said. 'We will be having a “watch paint dry” party at our house on Super Bowl Sunday, snacks will be included,' Lisa Warner Kahrhoff said. Darryl Weiss said he will watch re-runs of Cardinals games. Richard Moore will be busy cleaning toilets, ‘that’s going to be a better bowl to watch,’ he said. 'My husband would watch a marathon of Fixer Upper on HGTV while having a root canal before he would watch the Rams play in the Super Bowl,' Mona Bishop said. George Jeter III said he’s more excited for the XFL and won’t be watching the Super Bowl. ‘Bring on the XFL. And hopefully bring the NBA STL 's way too. I can't just do baseball and hockey,’ he said. Devin Lumma will be watching the Super Bowl… ‘Yes, because I’m not a baby which clearly the whole City of St. Louis is,’ he said. Monika Ruzicka will also watch, 'I will proudly watch the Superbowl and root for my RAMS!!! I can't stand how Stan talked about the city of St Louis however, the team and the employees had nothing to do with the decision to move. They all had lives, homes and family here. They all had to relocate and find new homes in one of the highest cost of living States in the world. It was about $$$ for Stan it was to keep their jobs for everyone else. GO RAMS!! !,' she said. Aaron Cheshire said he’ll be playing Pokémon go instead. 'Most of the commercials haven't even been worth it the last few years. Maybe i will paint my toenails and watch them dry...' Susan Swan said. 'The only plan I have is to not watch,' Larry Griffiths said. 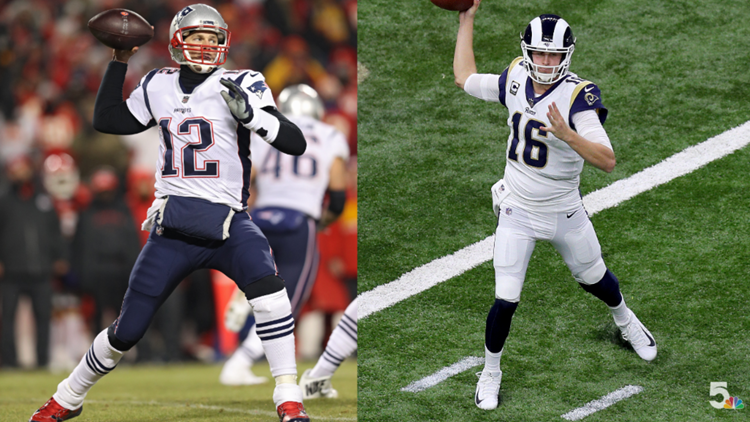 'Don't know many Missourians who give two hoots about a Super Bowl that the Rams will play in. After what Stan Kroenke did to our state and St. Louis we have no love lost for him or his team,' Sharon Jacobs Adams said. RELATED: Do the Rams still matter in St. Louis?